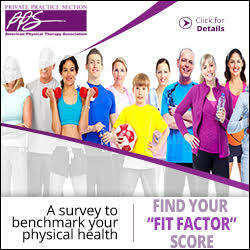 Is Your Physical Therapy Practice Also a Health Club? Know the laws, rules, and regulations of your services. As physical therapy private practices continue to explore alternate revenue sources other than traditional fee-for-service reimbursement, unique legal issues may arise based on the new services provided. To succeed as a private practice, you must create a strategic and well-rounded marketing approach. Perspectives on marketing and networking from an author. My name is Carolina McMullen, I am a self-published author born in Spain but breaded and fried in this wonderful land of opportunity. 7 steps to maximize digital marketing. More than ever, individuals are searching the web for medical and injury advice. Matt Slimming: What are the one or two most important items for a clinic owner to consider when designing or updating their website?